The main problem with the Appeasement Policy and the Munich Agreement was that it was based on a misconception. 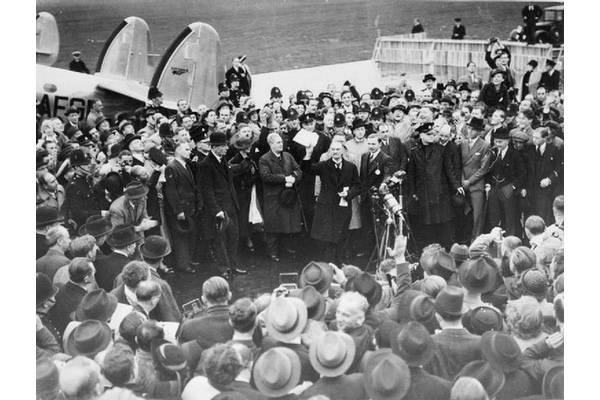 Eighty years ago the Munich Agreement was signed. Stipulating that the Sudeten region of Czechoslovakia, which was mostly inhabited by German-speaking people, would be ceded within a few days to Germany, Munich became to this day a by-word for capitulation to a totalitarian state. It was not to be. In March 1939, German troops forcibly occupied what remained of Czechoslovakia. This was a turning point for it demonstrated even to the most ardent supporters of the Appeasement Policy that Nazi Germany was interested in more than merely seeking to unite all German-speaking people within its sovereign territory, as Adolf Hitler, Germany’s dictator, had claimed. Appealing to principles espoused in parliamentary democracies, Hitler and the Nazi leadership justified their policy by arguing that they were merely asking for the right of the German people to self-determination. Beyond ideology, it was a cynical ploy, adopted by dictatorial regimes throughout modern history to deploy lofty principals in order to weaken rivals and attain diplomatic and territorial gains. Nazi Germany claimed that it just wanted to rectify the wrongs done against the German people in the Versailles Settlement following the Great War, which would subsequently be known as the First World War. Thus, in 1936, Adolf Hitler sent German troops to the demilitarized area of the Rhineland; and in 1938 to Austria; and now, with the full consent of Britain and France, to the Sudeten region of Czechoslovakia. The spectacle of German troops marching into Prague in March 1939 made it abundantly clear that Nazi Germany had objectives which went beyond the mere rectification of wrongs done by the Versailles Treaty. The aim was not to modify certain aspects of the prevailing international order, but to disrupt it altogether. Chamberlain, like the people of his generation, who had lived through the First World War, dreaded a new European war, which was expected to be a much more devastating military confrontation than the previous one. Preventing it became a priority for him. Chamberlain truly believed in the possibility of achieving a general settlement with Germany. When he returned from Munich, his enthusiasm could hardly conceal his sincere belief that he had actually achieved what he had set out to from the outset. 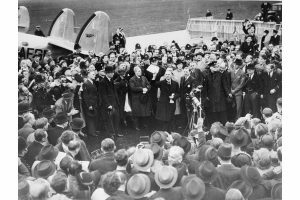 The Munich Agreement was to be an important diplomatic stage in a longer process, which would bring about peace and tranquility to Europe. 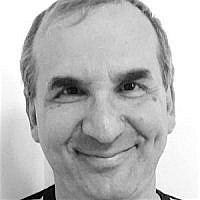 Few events in history have served as a lesson for future policy as the Munich Agreement. Following the Second World War, and with the perceived consequences of the Appeasement Policy in mind, decision-makers in the United States and in Europe advised against a policy of appeasement in dealing with the Communist menace. During the Suez Crisis in 1956, there were many both in government and in opposition in Britain who feared that Egypt’s leader, Gamal Abdel Nasser, was a Middle Eastern version of Hitler, who should be resisted, in contrast to what Britain had done in the 1930s. In both Gulf Wars against Saddam Hussein’s Iraq, the United States Presidents, George W. H. Bush and George W. Bush respectively, cautioned against appeasing the Iraqi dictator as they resorted, at least implicitly, to the Munich analogy. When US President Barak Obama was about to order an attack on Syria in 2013, following a gas attack by Bashar Assad’s forces during the civil war in the country, his Secretary of State, John Kerry, in trying to elicit both domestic and international support, explicitly spoke of a “Munich moment,” in which the democracies would have to decide whether to appease or to attack the Syrian dictator. Nazi Germany had goals that went far beyond what would have been acceptable to the appeasers in Britain and France. Even if we assume that there was no way of knowing for sure what the true objectives of Nazi Germany were, the fact remains that the decision-making process in Britain was flawed. Chamberlain was arrogant, believing he knew better, and that only he could achieve a general settlement with Nazi Germany. He was unwilling to listen to assessments that ran contrary to his credo. He was ready to accept any information or analysis that corroborated what he believed in. The problem with Chamberlain was not that he dreaded a new European war. He was certainly right in depicting a hitherto unknown spectacle of horror and destruction should such a war erupt. Chamberlain failed to understand, even after Munich, that Nazi Germany did not negotiate, it dictated. Hitler was not a tough negotiator, but a bully attempting to impose himself on his interlocutors. For Hitler there was no negotiating process leading to a mutually-acceptable solution, but a forced process leading to the realization of his aims. What are the lessons to be learned from the Munich Agreement, then? There is nothing wrong, in principle, with a parliamentary democracy negotiating with a totalitarian regime so long as the negotiating process is not a disguise for an imposition of will by the latter on the former. Indeed, there is nothing wrong with a parliamentary democracy attempting to prevent the eruption of war by negotiating with unsavory regimes so long as it does not abjure its principles in the process. Parliamentary democracies must be careful not to fall into the enticing trap of the grand political rhetoric employed by totalitarian regimes. Totalitarian regimes may advance causes which are appealing to public opinion in parliamentary democracies, such as human rights, national self-determination, peace, etc. in order to secure objectives which are usually inimical to them. In addition, decision-makers ought to be aware of the pitfalls entailed in mirror-imaging, that is, believing that “the other side thinks like we do.” Further, decision-makers should avoid engaging in confirmation-bias: looking for information that supports a pre-established view, and rejecting any evidence that might contradict it. Decision-makers, like all human beings, are driven by subjective perceptions of reality and by a world-view shaped by their own personal experience and cultural background. There is nothing wrong with that so long as they are aware of it when reaching decisions.